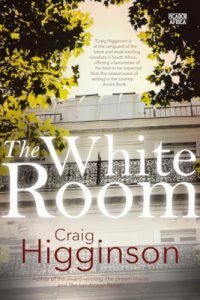 Craig Higginson’s sixth novel, The White Room, was published by Picador Africa in August. 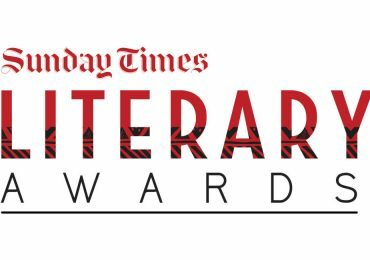 He chatted to The JRB Editor Jennifer Malec about the differences between writing for the page and the stage, the responsibilities that come with being a South African writer, and what it means to have your book made a matric setwork. The White Room is an adaptation of Higginson’s 2010 play The Girl in the Yellow Dress, which won a Naledi Award for Best New South African Play and was also nominated for Best South African Play at the Fleur du Cap Awards. Higginson has been awarded the UJ Main Prize for South African Literature in English twice, for The Landscape Painter in 2012 and The Dream House in 2016. He is the second author to achieve this after Ivan Vladislavić. The JRB: The White Room takes place in Paris, London and Johannesburg. Were you very familiar with these cities—Paris especially, where most of the novel takes place—ahead of writing the novel? Craig Higginson: Yes, all the places I have written about in the novel are places where I have lived. I lived in London for almost ten years, from 1995 to 2005, where I mainly worked in the theatre, and in 2003 I lived in Paris for about six months, where I taught English as a foreign language, as Hannah does. Pierre’s father lives in my father’s house in France, and Hannah’s mother’s house closely resembles the house my mother lived in until recently in Johannesburg. [Hannah and Pierre are central characters in The White Room.] I like to establish a strong sense of place and I would find it hard to do this with places that I don’t know well. Of course, I don’t know Paris very intimately, but this was fine for a character like Hannah who isn’t particularly adventurous in the city and is very much in her own internal world, and sometimes forgets she’s living in Paris at all! The JRB: Your previous novel, The Dream House, was based on your play Dream of the Dog, whereas The White Room is inspired by your play The Girl in the Yellow Dress. Did you find more freedom with the second adaptation, in that you weren’t bound by the plot of the play but were taking it further? Craig Higginson: The Girl in the Yellow Dress consisted of five scenes between two characters in one room that took place over a couple of months, so it was wonderful to be able to break them out of there and to get them to travel—through time as much as space, and internally as well as externally. In a play you have to intuit a character’s internal world from what they say or do, while a novel is able to dwell inside the consciousness of the characters in a way a play never can. One major difference between Celia in the play and Hannah in the novel is that Hannah is Zimbabwean–South African and Celia is English. I felt I wouldn’t be able to write an English character’s memories from childhood in the same way I could a character from southern Africa—and that’s one of the reasons I made that shift. Once I had made the shift, however, it opened up whole new possibilities for the book. It became about characters whose parents had gone through war situations—as well as Pierre and Hannah, this also includes two Serbian students—and whose children are struggling to have healthy relationships in the present as a result of their inherited trauma. Moving right outside of the quite claustrophobic timeframe of the play and looking back at it from the distance of about fifteen years also extended its possibilities, because the characters suddenly had more space really to shift and change. By making the play ‘fiction’ and the frame around the play ‘real life’, I was also able to play around even more with the truth/fiction theme that runs through the book. I really like it at the end when the characters from ‘real life’ confront the actors from the play—and they have to try and negotiate the different versions they have of each other. The JRB: The novel takes the structure of a five-act play—including an interval—which is a neat homage to its roots, but also has an effect on the book’s structure. Was this something you planned out before starting to write the book? Craig Higginson: I think that almost all works of fiction have a shadowy five-act structure behind them—but in The White Room this is framed by a opening section called Entrances and a closing section called Exits, as well as the Interval in the middle. These framing devices place the play within the novel into a more dissociated ‘fictive’ structure. In Entrances, Hannah reflects that her plays are always written with a clear five-act structure but that the more contemporary plays in England often seem to be reduced ‘to fragments, to shards of hurt’. She wishes she could write like that, feel like that—but it’s somehow too precarious. The novel is trying to be both—both structured into five acts and, from the inside, reduced to fragments and shards of hurt. Like Hannah and Pierre, it constructs and deconstructs itself—constantly pulled between form and chaos. The JRB: Your dialogue is very fine. I imagine you honed your ear for dialogue during your work in theatre, but do you find there is a difference in writing dialogue for a novel? Craig Higginson: Dialogue in what I would call ‘a well-written play’ usually has a quality of layeredness. It usually means more than one thing at any one time. 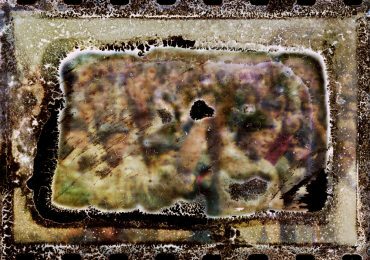 The theatre is very much a metaphorical space, where the world in the black box ‘stands for’ another world because it knows it could never attempt to reproduce it—in the way a film, for example, usually tries to do. The audience in the theatre has to imagine the rest of the world being represented—and this is part of the pleasure that comes from going to a play. The audience are active participants in the imagining of the whole. Dialogue in novels is often looser and more conversational. It is often a ruse—a deflection—while real life continues underneath it in the consciousness of the protagonist. A play is carried forward by dialogue, a novel usually by the consciousness of the protagonist. In my last couple of novels, I have been trying to write a different kind of novel, a more ‘dialogic’ novel that uses devices from the theatre as much as from fiction. So I am trying to bring that economy and layeredness that is found in plays into my own fiction, and I present a range of perspectives narrated in what is called ‘the attached third person’, where the characters narrate from their own perspectives and there is no narrator or authorial voice guiding the reader and telling them what to think or feel. I want the reader of one of my novels to be an active participant, someone who enjoys having to work things out for themselves in a way that is usually expected from an audience in the theatre rather than the reader of a novel. So my dialogue—like the rest of the language in the novel—tries to be spare, layered, metaphorical. By removing the inverted commas from the dialogue, I am also blurring the line between the internal and the external, between what is thought and what is said or done. The language in the play inside the novel is also different from the language outside the play in the novel, because in the play Hannah is teaching English and she’s inside ‘the English language’. As soon as she steps out of her white room—which is the place of language, her apartment or classroom as much as the white page—the world feels less layered, more banal. As she says somewhere, sentences become no better than bits of string. The JRB: Another of your strengths, I think, is in character. Even a character we never meet in the present, Oliver, feels real, and you give the reader a very rounded idea of who these people are with minimal description. Do the characters always feel real to you, or do you have to work at them? Craig Higginson: I try to write complex characters because I think people are complex, and I want my characters to give the illusion of ‘real life’, even if they are no more like figures in a dream inside my head, or, perhaps more accurately, on the page. Whenever a character appears in one of my novels or plays, I try to make them different from how they were in a previous scene. That is how we create an idea of each other’s characters, we get often contradictory bits of information and try to bring them together into a semi-coherent whole. But as Margaret Atwood wrote in Cat’s Eye, I think, ‘there is never one of anyone’. We are different people for different people, and we are different to ourselves, depending on how we are feeling about ourselves or those around us. And we never have access to what others really think of us, which is probably just as well. Psychoanalysts will also tell us that we are layered beings, with an id, ego and superego, and that we have a great deal of unconscious and repressed material inside us that influences our actions and decisions in ways we can barely begin to fathom. I try to give space to all these realities in my characters, and I also do this literally on the page by ‘writing’ a lot of white space around the sentences. The text, as much as the characters, often feels complex as it evolves; it speaks back at itself and keeps undoing and redoing itself, and it felt to me while I was writing The White Room that the text needed quite a lot of space around it, so the reader could have space to move, and ponder—so that their reading experience becomes spatial, at times, as much as linear. The JRB: Once a play is written, the actors take the roles and run with them—sometimes even making changes to the text, in collaboration with the director, for example. In a novel, there is no collaboration. Do you feel more responsibility in writing a novel? Craig Higginson: I think you feel just as responsible when writing a play as a novel, and you know that although the actors and director may change the meaning of some of what you have written, the reader of the novel will also interpret what you’ve written in their own way. I am often surprised by the extent to which a critic, for example, might read what they want to read from your text, and use it as an opportunity to say something they want to say rather than using it as an opportunity to articulate what they think the text might be attempting to say. That said, I do feel more freedom when writing a novel, as you’re the director and all the actors, the designer and the weather person. I like the fact that a novel is its own self-sufficient entity, and that it doesn’t require a production to bring it to life. Of course, you can read a play, but you know you are reading something that was written to be performed in an alternative space. 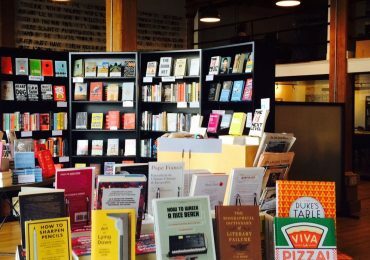 When you read a novel, you know you are in the performance space already—you are the only audience member to a production that is already in full flight. The JRB: In a previous interview you said The White Room ‘takes some of the issues raised in The Dream House further and places them in a more international or global context’. Could you tell us a little more about this? Craig Higginson: The Dream House is very much about South Africa today—this middle space we are in, somewhere between regeneration and decay. The White Room is trying to stage a dialogue between Europe and Africa, the so-called First and Third Worlds. At its root is the myth of Echo (Pierre) and Narcissus (Hannah), who initially stand for ‘Africa’ and ‘Europe’. These positions are gradually undermined during the course of the novel (far more so than they were during the course of the play) because we find that Hannah was born in Africa and Pierre in Europe, and by the end—at least of the play within the book—their roles have been reversed, and Hannah is more like Echo and Pierre closer to Narcissus. 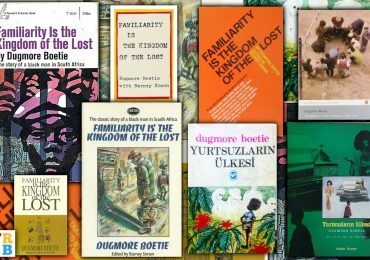 It seems to me that the novel explores themes that are global as much as local: the issue of refugees, for example, but also those of ‘language, identity, memory, love and loss’—as the blurb says. 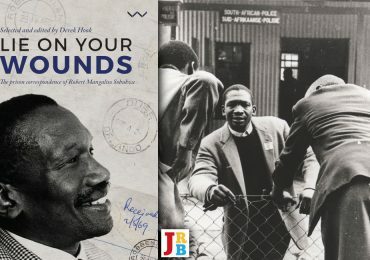 The JRB: In the novel, Hannah muses on how ‘growing up in apartheid South Africa was like being in an abusive relationship in which you were never sure whether you were the abuser or the abused’. Your treatment of this theme is subtle, but it is there. Why do you think it’s important to include this kind of context in your work? Craig Higginson: I talked to my editor about removing this phrase from the novel. I wondered if it was too overt. But we decided it was a theme that needed to be ‘pinned’ at that point in the text. The novel is about different forms of abuse—self-abuse, abuse in relationships, abuse from one’s upbringing and environment. It is also about the shame that can come out of that—and how damaging that shame can be if it isn’t sublimated and turned into something else, something that yearns once again to connect. The JRB: The Dream House will be an English IEB matric setwork from next year to 2021. Can you tell us a bit about what this means for your career? I imagine the most immediate effect will be selling a lot of copies of the book. Craig Higginson: I don’t know how many copies we will sell, but I must admit it was a huge thing for me. It really is a privilege to have your book read by a younger generation of South Africans—and at a time that is extremely formative for them. I will be going to schools around the country in the next three years, talking with learners who are studying the book, and I am intrigued to discover what will speak to them in the book and what will not. I will probably be hated by a fair portion of them too, as I will come to be associated with assignments and exams. But I hope they will take something from the book that is useful to them—and I hope there will be pleasure to be gained in spite of the pain! The JRB: I believe you’re working on a dramatic adaptation of John le Carré’s thriller The Mission Song. How’s that project coming along? Craig Higginson: I have written a few drafts and we will be doing another reading in London in November. The producers from Headlong and the Ink Factory, as well as the director Jeremy Herrin, seem to be pleased with where we’re at. I imagine at the beginning of next year we will be starting to look for the right theatre. This is the first time le Carré’s production company has been part of commissioning an adaptation of one of his novels into a play rather than a movie, so it’s a huge opportunity and responsibility. At first, I was quite intimidated, but they encouraged me to write the play rather than the adaptation, and that licence really gave me the space to write what I can only hope is ‘a well-written play’! The JRB: Do you have any recent books or newly-discovered authors that you could recommend to our readers? Craig Higginson: I don’t get enough time to read these days—and I’m often reading things related to what I’m writing. But I recently discovered Maggie O’Farrell, who I think is wonderful. I read at least as many female novelists as I do male novelists. I often prefer their writing. Women writers often write their way into places men don’t. In general, I can’t bear writers whose ego is the primary subject of their work, as is more often the case with male writers, in my limited experience, than female ones. It think we are defined not by who we want to be, or who we think we are, but by who we are to each other and what we do to or for each other—and I like writers who are interested in exploring that.